Cotton was the world’s first global commodity. The scale of its production, consumption and exchange after 1500 was far greater than that of any other manufactured product. It is the most versatile and widely used natural fibre in the world and just about everyone on the planet will wear at least one article of clothing made from cotton at some point in the day. 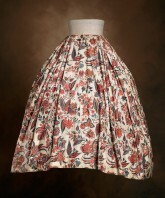 Cotton reconfigured fashionable dress in the Western world. 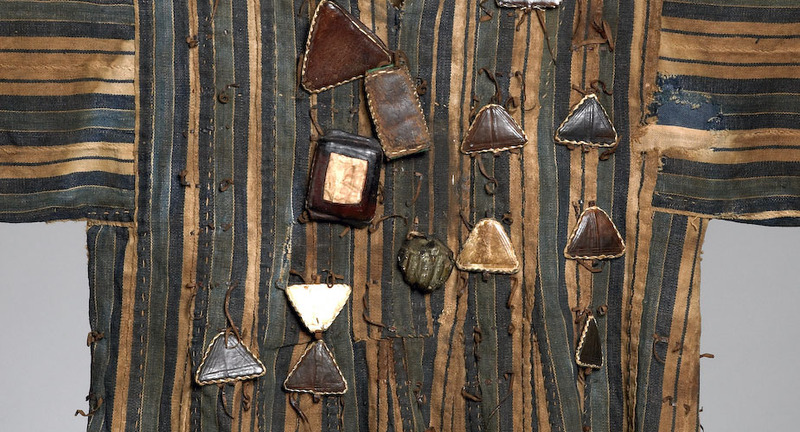 Unfettered by association with tradition and elite dress, cotton was ubiquitous in the development of ready-made clothes and has been central to the concept of a democratic, popular fashion system. However, the cotton trade has long reflected the dark side of globalisation, its growth and manufacture having exposed both the promise and perils of global capitalism. From Marx and Engels’ ‘satanic mills’ of 19th-century Lancashire to the garment factories of South China today no other industry is so closely associated with the exploitation of human labour. The price paid in social and environmental terms for cheap cotton and fast fashion is high. 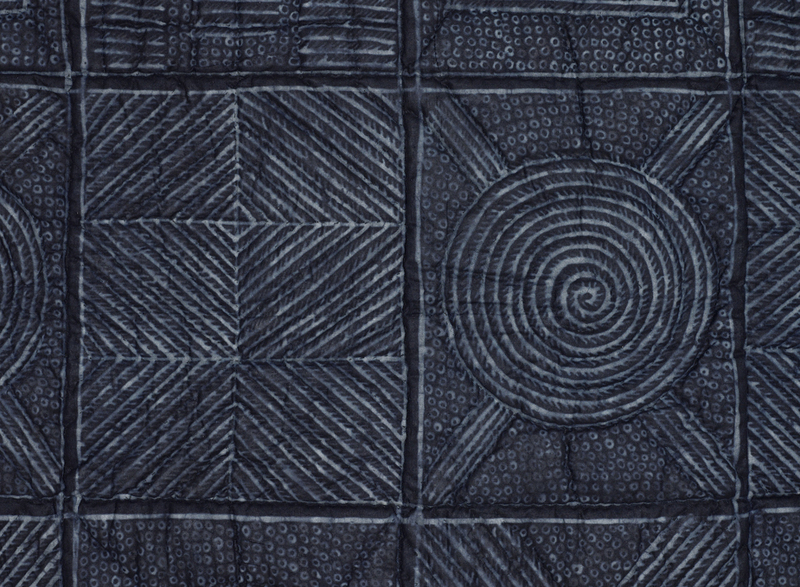 The fashion and textile displays in The Textile Gallery engage in dialogue with the work of seven contemporary artists whose practice in a range of disciplines addresses different elements of the cotton story. versions. 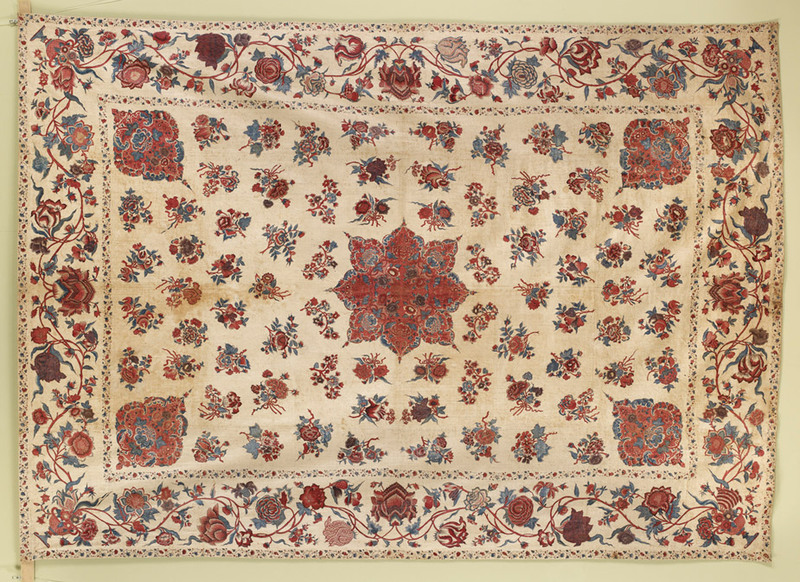 Indian craftsmen catered successfully to regional tastes, working from samples and drawings sent out for copying. 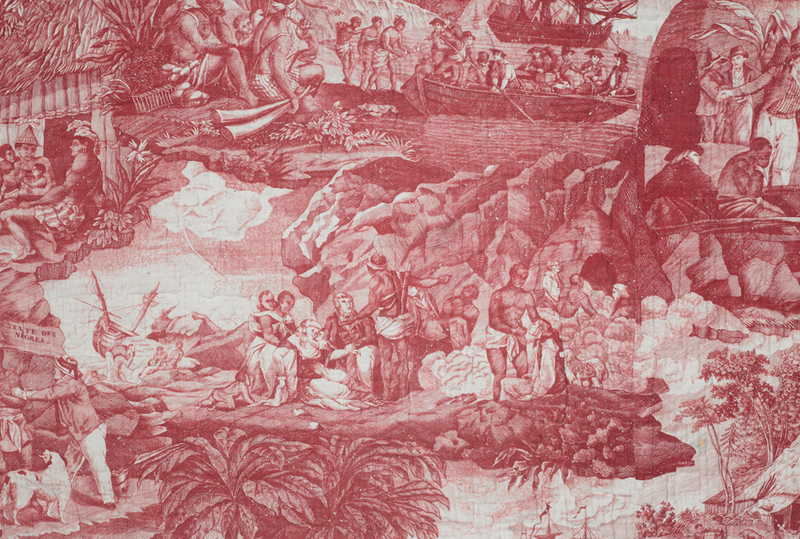 British taste, for example, favoured scrolling branch and tree designs on a light ground, while red and other dark ground chintzes were more popular with the Dutch. An exotic hybrid style was eventually created. trade in both raw cotton and finished cloth, and the wearing of cotton extended to all classes of society. In 1790 cotton accounted for around 4% of all clothing in Europe and the USA; a century later it was 73%. The mechanisation of the cotton industries in Western Europe forced thousands of Indian craftsmen out of work. Raw Indian cotton initially supplied British textile mills and by 1850 Lancashire was flooding the Indian home market, and much of the world, with cheap cottons – known as ‘Manchester goods’. The profits from the Lancashire industry derived largely from exports rather than home consumption. 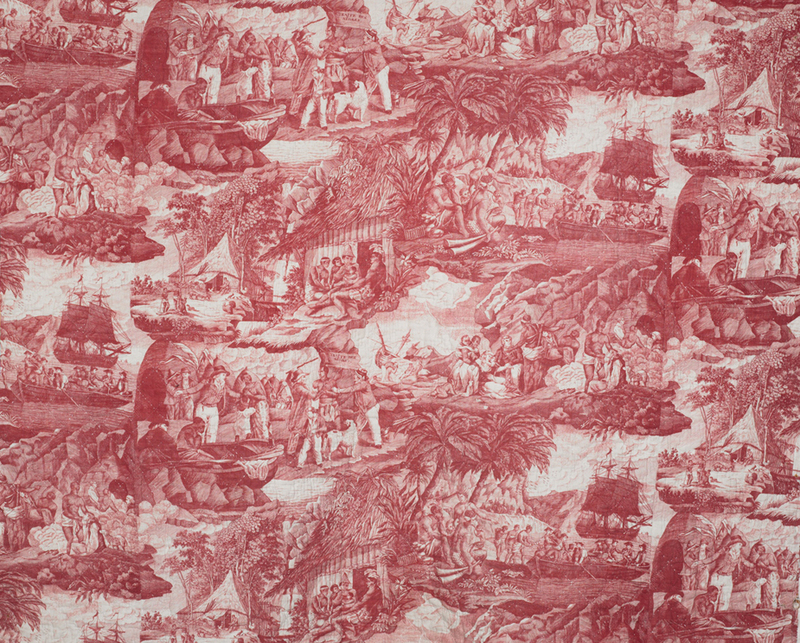 British cotton exports also subsidized the slave trade. 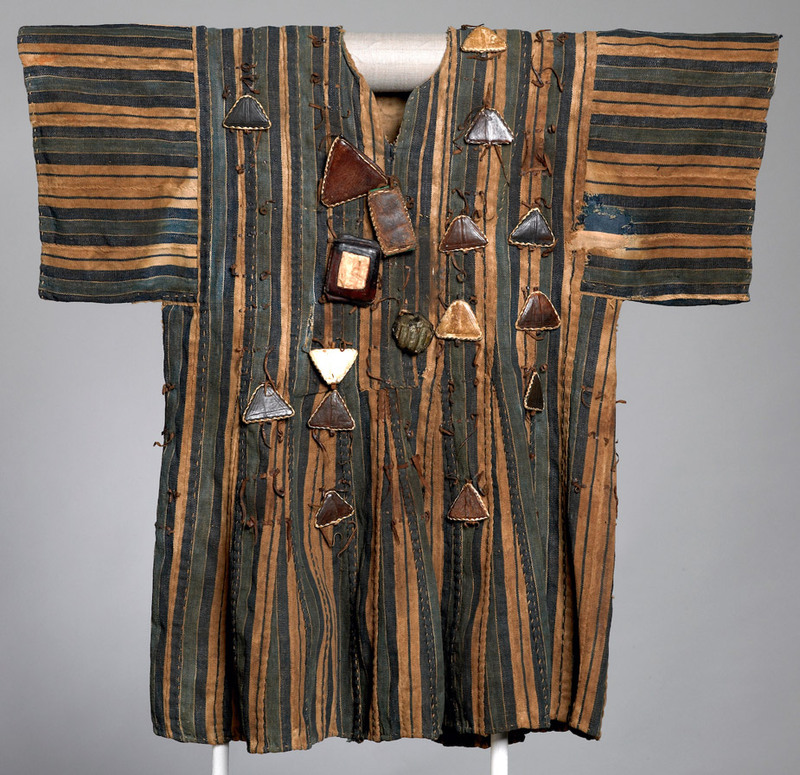 Indian cottons were shipped to West Africa and bartered for slaves, who were then sent to plantations in the USA in return for sugar, cash or both. In the 19th century plantation slavery grew dramatically to feed the demand for raw cotton on both sides of the Atlantic. In 1912 the Lancashire cotton industry was at its peak, with five-sixths of production destined for export; seventy years later it was finished. The impact of war, increased labour costs, competition from synthetic fibres, and a lack of investment in new technology saw production gradually shift to the Far East, to Japan, followed by Hong Kong, Korea and Taiwan. Today, China is the world’s largest producer of cotton textiles. technologies and religions – the ‘invisible cargoes’ that are traded and consumed along with commodities. 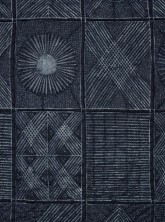 Cotton is the main fibre in use for textile production in West Africa but contemporary dress in countries such as Nigeria, Ghana, Mali and Senegal represents an eclectic mix of local and imported elements. 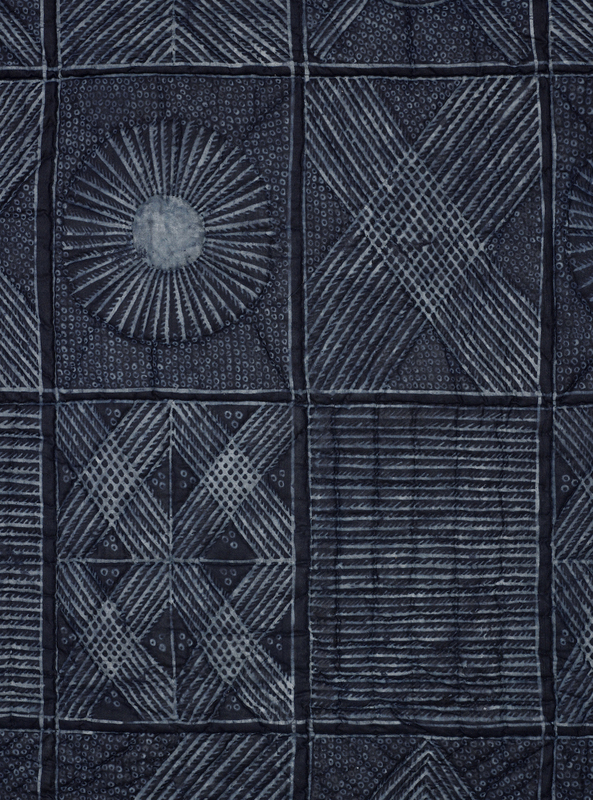 African wax print, in particular, which has come to signify African identity in the post colonial period, exemplifies this hybridity. 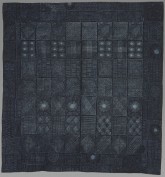 Wax prints are industrially produced imitations of Javanese batiks. They were introduced to West Africa by Dutch (and later English) traders during the 19th century, but may also have been imported by Africans themselves, who were regularly recruited into the Dutch army to fight the latter’s colonial wars in the East Indies (modern-day Indonesia). 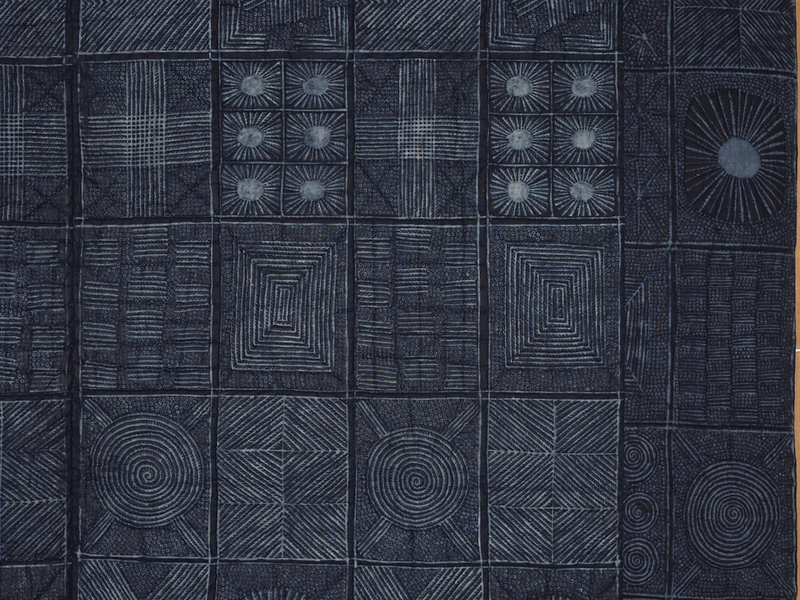 Initially, industrial wax batiks closely mimicked their Javanese prototypes, whereas today African wax prints are characterized by bright colours, unusual colour combinations and, often, the use of contemporary design motifs, such as mobile phones. 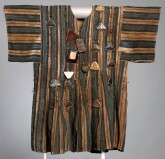 The misalignment of colour and design is deliberate, as is the marbled effect where dye seeps into cracks in the resin. 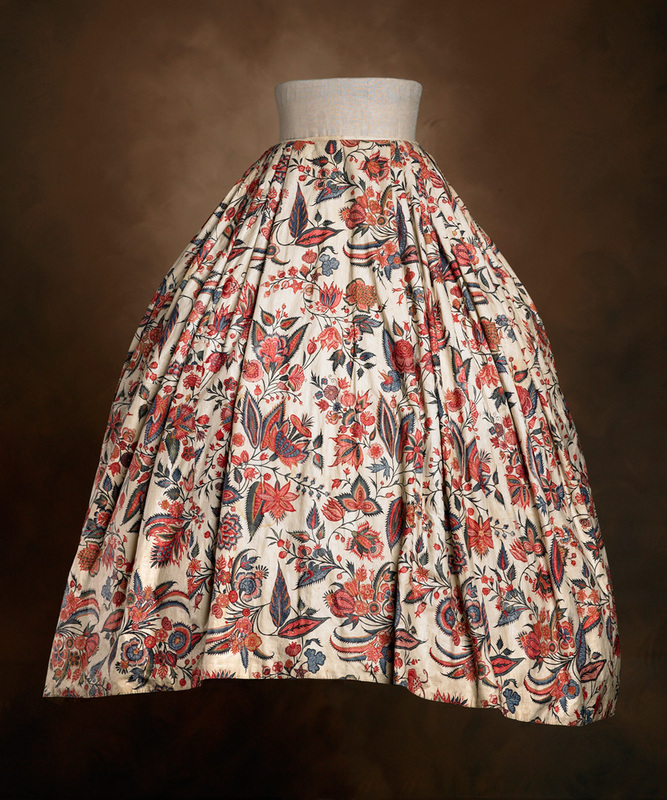 Fast, popular fashion has little interest in where or how cotton is produced and, as a result, cotton farming and manufacture continue to be among the most exploitative enterprises in the world. The plant is particularly prone to insect attacks, and in the second half of the 20th century cotton crops became one of the world’s heaviest users of pesticides, creating environmental and health hazards that still plague many countries. Genetically modified (GM) seed can drastically reduce pesticide use, but one US company has a 90% monopoly of the market, pushing poor farmers in the developing world into debt as they seek to adopt it. Cotton is also one of the thirstiest crops, accounting for 2.6% of the world’s yearly water usage. Cotton played a highly symbolic role in India’s struggle for independence from British colonial rule. In the 1920s Mahatma Gandhi called for a boycott of British textiles and encouraged people to use instead Indian hand-spun, hand-woven cloth (khadi). A spinning wheel still adorns the Indian national flag. Today, there is renewed interest in natural fibres and, following repeated human rights scandals, fair trade enthusiasts and eco-pioneers seek clothing that is produced in exchange for a fair wage and whose production has a less injurious impact on the environment. However, organic farming comes with financial risks, as yields are initially lower and therefore prices higher. In addition, the world market is flooded with heavily subsidised cotton, which has forced the price down by a third since 1994, consigning cotton farmers in many West African communities to grinding poverty. 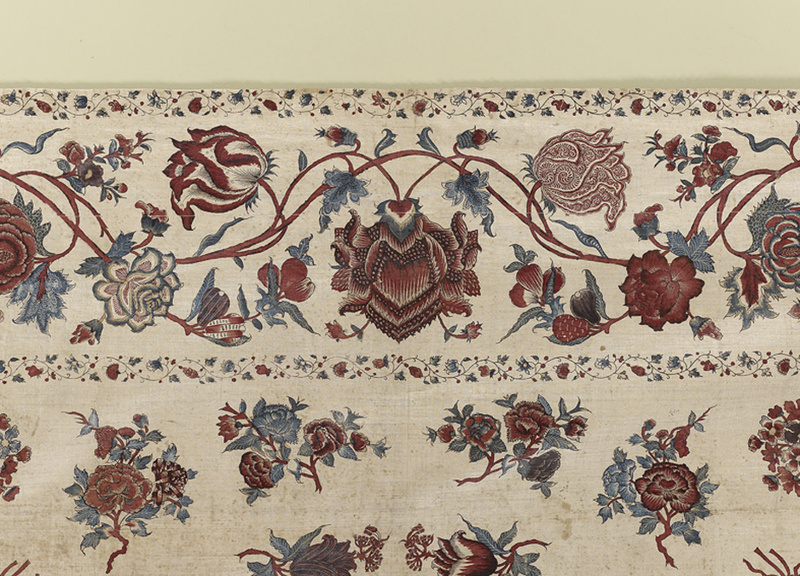 Cotton petticoat made in Gujarat, India, c. 1760. Whitworth Art Gallery, The University of Manchester. 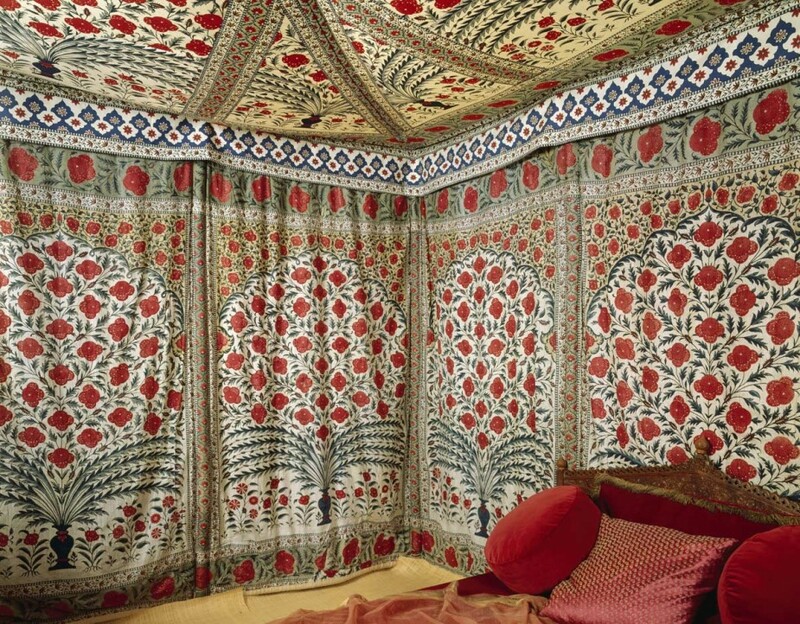 Chintz palampore (or bed-cover), 1700-50. Courtesy of Francesca Galloway and Titi Halle. 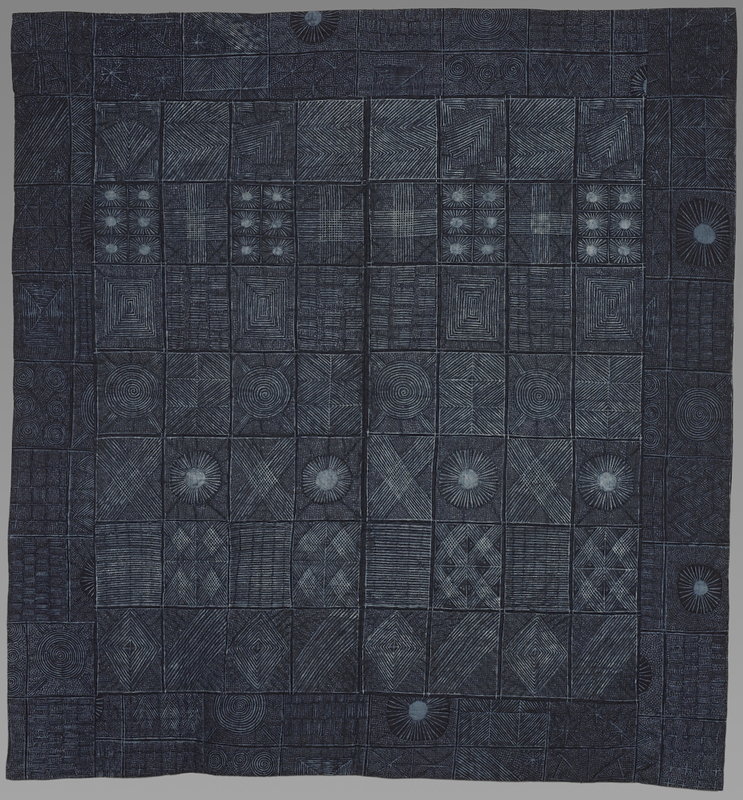 Stencilled adire cotton, Nigeria, 1900-25. Whitworth Art Gallery, The University of Manchester. 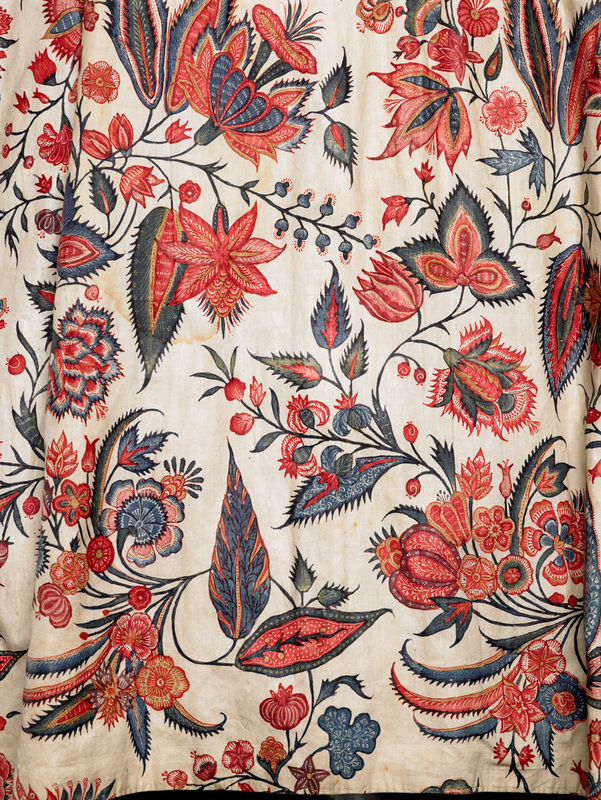 Discover more about the challenges and successes experienced by Textile Conservator Ann French and her team whilst preparing items for display in the exhibition, in our interview on the COTTON: Global Threads blog.